Your business can support WDCB by sponsoring a specific program, or underwriting general programming. This provides an opportunity for us to thank you, on-air, through a 20-second underwriting message that contains specific information about your business. This contribution is tax-deductible and provides a wonderful and inexpensive opportunity to let many thousands of music lovers know about your business. 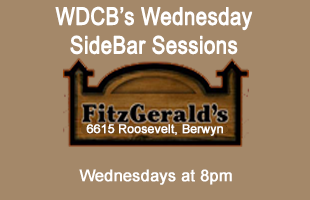 Another related option is sponsorship of a WDCB event which will also result in on-air acknowledgement. Whatever method you choose to support WDCB, know that your business will benefit from its association with our audience. The WDCB audience, typical of public radio station audiences across the country, has some very desirable demographics. Our audience is more highly educated and more affluent than the population in general. Their interests lean more toward upscale activities such as travel, theater, dining out, financial matters and business related-activities. Additionally, public radio audiences truly appreciate those businesses that support their favorite station and, in our case, the only station in Chicago that plays their music. After all, thousands of them have expressed their support through membership contributions. WDCB Public Radio is commercial clutter-free. We air only a few underwriting messages an hour and never more than two back-to-back. Our audience knows that music is only a minute or two away, and they easily stay tuned during our brief stops. Your message comes through loud and clear, not buried in a group of four to six minute-long commercials, as is often the case in commercial radio. And because WDCB thanks you for your support, our listeners are already predisposed to patronize your business. They know that you support public radio, just as thousands of them do as well.